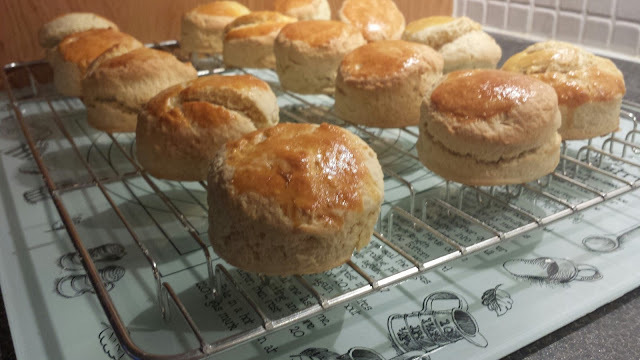 I absolutely love scones, I always have loved them ever since a child when my mum would make them as a treat, they would always be gorgeous warmed with some butter. As kids it was rare to have jam in our house ( if it was there my dad would gobble it up, the man has always loved a sneaky sandwich before bed) and jam makes it all the sweeter. Plus another reason we wouldn't get jam is because I would request it for my school sandwiches, but after day or so I would get tired of jam sandwiches and my parents would find em at the bottom of my bag so that would put an end to jam)so I still find it weird putting jam on my scones. Sieve the flour, sugar, baking powder and salt into a large bowl or blitz in a food processor. With a knife, gently blend in the butter firstly, then finish by blending with your fingertips until the mixture resembles dry bread crumbs. Add the egg, creamand enough milk to moisten. Mix well until it has a soft, doughy texture, but it should not be too moist. Form dough into a ball and turn out onto a floured surface. Roll lightly with a rolling pin until it is 1inch [2.5 cm] thick. Cut out with a round cutter and transfer to a greased baking sheet. Brush the tops with beaten egg glaze. Bake for 15-20 minutes until well browned. 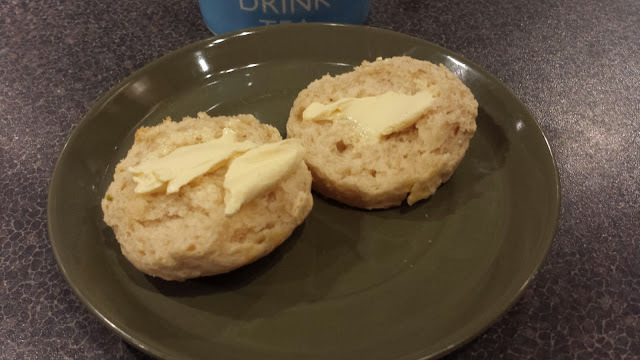 Enjoy with some butter whilst still warm.